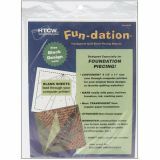 Fun-Dation Quilt Block Piecing Material - COTSWOLD: Fun-Dation Quilt Block Piecing Material. 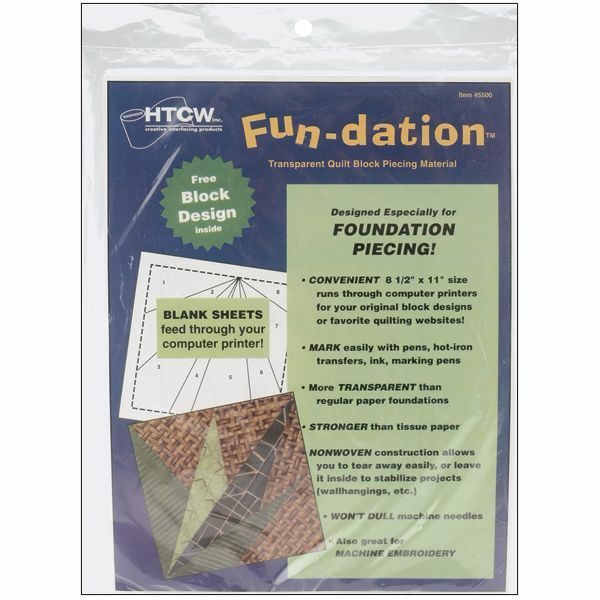 A nonwoven foundation piecing medium designed especially for the foundation piecing quilter. Prints through standard printers or photocopy machines. Lightweight, translucent tear-away material with advantages over the standard paper, tissue paper or muslin foundation. Designed for the sewing machine needle, papers will not dull the needle. Tears away only when you want it to. This package contains twenty-five 8-1/2x11 inch pieces of piecing material. Made in USA.